Summary from GoodReads: "Zack Lightman has spent his life dreaming. Dreaming that the real world could be a little more like the countless science-fiction books, movies, and video games he’s spent his life consuming. Dreaming that one day, some fantastic, world-altering event will shatter the monotony of his humdrum existence and whisk him off on some grand space-faring adventure. It’s Zack’s chance, at last, to play the hero. But even through the terror and exhilaration, he can’t help thinking back to all those science-fiction stories he grew up with, and wondering: Doesn’t something about this scenario seem a little…familiar?" 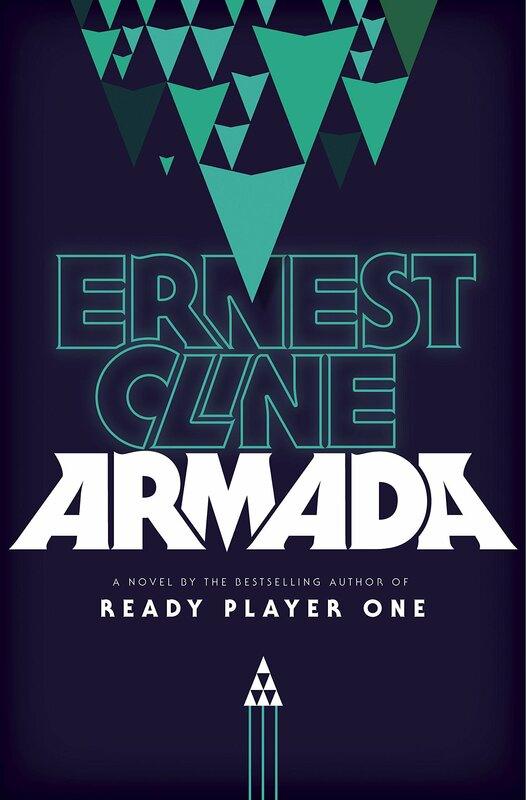 My thoughts: After absolutely falling in love with Cline in Ready Player One I was so excited for this second novel to be published this summer. I had read that this novel was vaguely inspired by the movie The Last Starfighter which I had discovered as a child in a stack of VHS tapes that my parents had. I loved the movie and would watch it late at night before bed, having amazing dreams afterwards. As much as I loved Ready Player One Cline's second novel just does not measure up. Although it was a very fun read I felt as though his experiences as a screenwriter shone through more than his abilities as a novelist. In the beginning of the book the dialogue is basically a verbatim of famous movie and pop culture laden lines. This was part of the charm in his first novel but here it felt forced and unbelievable. As the plot continues on we follow Zach Lightman to the moon where his no so dead dad is actually alive! As soon as Cline described the elder Lightman's tragic and mysterious death in the beginning of the book I knew that Zach would find out that none of it was true. Zach teams up with his father to help kick some alien but, uncover shocking conspiracies, and live out every game geeks dreams. All of this would of been fine if not for the abrupt conclusion of the book. In the end we find out that the entire thing was a test of humanity explained by one of the invaders. This would be an alright realization if not for the cut and dry way it was presented. It felt as though Cline was writing a paper for a college class and just gave up on creativity in order to turn in his paper before the deadline. Audience: In our library this book is in the adult section. Personally I believe that since it follows a high schooler as its main protagonist it can also be labeled as YA. Cline's first novel is up for a YA award in our state and I think that teens would enjoy reading more of his work. Patrons who love video games, science fiction, movies, pop culture, and adventure stories will enjoy this novel. I would recommend this book for grades 9+.